Today at Medica, the world's largest medical event, RoweBots, an embedded software company, announces the immediate availability of Unison MedicalOS, a real-time operating system (RTOS) for medical applications and wearable devices. With known challenges of cost, time to market, size and more, plus additional hurdles for certification across different countries and levels, Unison MedicalOS solves multiple pain points for medical OEM developers and programmers. The RTOS enables OEM developers to design virtually any healthcare and medical device with low risk, minimum time to market and minimum lifecycle costs on a solid, focused platform, while providing selected, pre-qualified components with a broad set of features. These features can be quickly integrated to meet the needs of any development project, such as devices worn on the body for home healthcare, complete with medical certification support. "Technological advances have paved the way for smart medical devices that not only shorten hospital stays, but also save lives," said Kim Rowe, CEO and founder of Rowebots. "Rowebots ensures developers have access to an RTOS that helps them easily design the medical devices of the future, adhering to security and certification protocols. 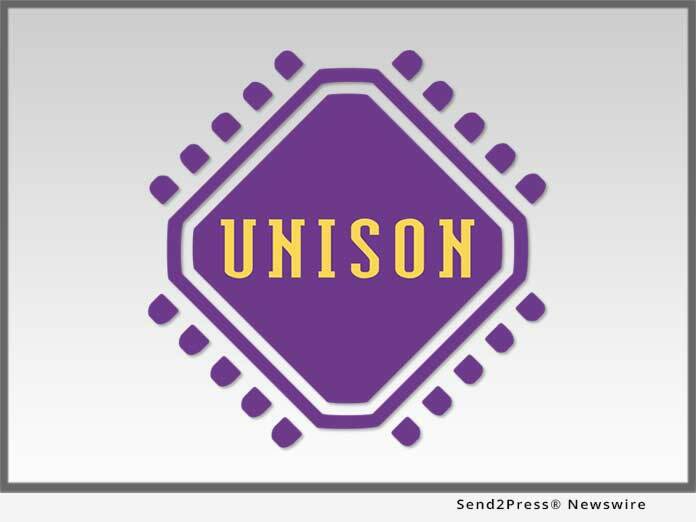 Unison MedicalOS empowers developers to change healthcare for the better, from providing wearables with notifications for the elderly to take their medication to monitoring vital signs in case of an emergency." To ensure security, a critical requirement in the healthcare industry, Unison MedicalOS leverages memory management protection to eliminate the dangers of dynamic loading, a clear liability when it comes to security. In addition to this foundational, architecture-based security, Unison MedicalOS also provides a suite of additional security-critical components, from secure SMTP to bootloader protocols, encryption/decryption and reliable wireless communication. Supporting a choice of reliable and secure MCUs and MPUs, along with an RTOS environment tailored for very small systems, Unison MedicalOS features lean product development support, adaptable and modular architecture and full-layered security, among other characteristics. The RTOS also features support for the Microsoft Azure Cloud computing service. The ability to connect a set of services via this ready-made hub not only offers enhanced privacy and security, but also helps developers expand the capabilities of networked devices. Unison MedicalOS is based on RoweBots' proven Unison RTOS solution, a real-time operating system that offers a complete component set for the development of IoT and M2M Communication Embedded Applications. The RTOS is designed to the well-known POSIX standard, and is optimized for size, modularity and adaptability to system-on-chip solutions, microcontroller units, microprocessor units, digital signal processing systems, field-programmable gate arrays and digital signal controllers. It is intended to help developers take products beyond the prototype level and add value with the opportunity for later expansion and enhancement of the product line. Unison MedicalOS comes with a reference design kit to help developers create application designs for their projects. By connecting the components in the kit, developers can verify transfer of data and commands and use them as a platform to reliably begin development of innovative medical and healthcare applications. RoweBots will demonstrate its Unison MedicalOS technology at Medica in DUsseldorf, Germany, November 13-16, 2017. To learn more, visit https://rowebots.com/. RoweBots has delivered excellence in embedded systems products for over 30 years. The company's products are optimized specifically for those developing extremely small devices that require a broad set of embedded applications. Specifically, RoweBots' flagship products can assist with developing medical, wearable and IoT-enabled devices, drastically cutting down time to market and, in turn, costs associated with development.